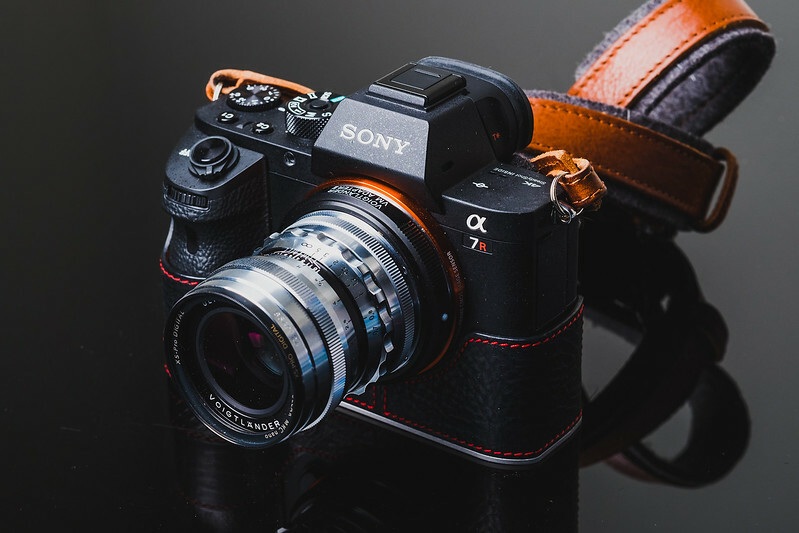 If you’re a Sony owner like myself you might know that there are some really cool accessories and gear you can get for your Sony A7ii, Sony A7rii or Sony A7sii that will help you protect your camera and personalize it to your style of shooting. I actually own the A7r and a A7rii so I will show you some of the great accessories and gear I’ve found that work really well with these Sony cameras. The screens on these Sony cameras don’t last. Don’t ask me why but every Sony camera I’ve seen that’s older than six months has bubbles all over the screen. I think it comes from getting little nicks and digs. It causes imperfections in the adhesive holding the plastic LCD cover on. Also these screens aren’t like Canons or Nikons or Leicas. They scratch really easily. After having one screen already repaired on my Sony A7r, I ended up getting a hard plastic screen protector. Usually I get the Expert Shield glossy or anti-reflective for my cameras since they have a lifetime warranty. Memory cards seem to all perform about the same on all Sony cameras. Choosing SD Memory Cards for the Sony A7rII can be a little tricky because of the interal 4k 100M video, so I’ve written a complete Sony A7r II SD memory card guide. I’m still working on getting my hands on this camera to perform all the tests I need to do. I actually decided to not buy this one because I have the 4k Sony A7rII. But the same rules applies to the memory cards for the Sony A7sII. It’s the same old USB 2.0 interface so there is a massive bottle neck on write speed performances. You will need a SDXC card that is U3 compatible. I recommend only the following cards or the larger variant of them. I do a lot of memory card tests for different cameras and get a lot of emails from people with issues with various brands. These have been the most reliable so far nd should work great for 4k 100M internal shooting. If there is any problems with any of these cards, send it back because you likely got a dud. I have them all and they all work flawlessly in various Sony cameras at shooting 100M 4k video. I’ve had some interesting experiences with 3rd party batteries in my A7r. What I learned is – 3rd party batteries work fine, just charge them in camera or with the Sony charger. The other chargers, specifically my Wasabi charger messes up the batteries charge. It takes a few cycles in a Sony charger (or camera) to restore them. I’ve written a detailed article about buying batteries for Sony Mirrorless cameras here. If you’re shooting with the Sony A7r II then you will receive two batteries for your camera as well as a cheaper battery charger. Sony did this to sort of give a tip of the hat to the video shooters who wanted to pick up this camera. But honesly, I think they did it because battery life is sooo bad that it would help keep photographers from complaining. As a side note, I can always make it through a full day of travel photography with just two batteries, but shooting video tends to drain things much quicker and I typically like to have four. Although a little expensive, this is the solution to the poor battery performance of the Sony A7 camera lines. Also helps with grip when holding the camera horizontally. These are pretty cool, I’m not going to try to tell you that you need one of these, because I’m sure you already know if you need one or not. These are great (must have) for wedding photographers. One of the things that will happen to your camera if you use a tripod a lot, is you’ll scratch the bottom up pretty bad over time. If you’re a heavy tripod user then you maybe want to consider getting some sort of grip case or half case. I’ve tried a few cases now for my Sony A7r II. The Gariz Alcantara case which I didn’t love. The case itself is awesome, but I didn’t love the alcantara suede material. The other case I’ve tried is the LIM’S. Since the A7II, A7sII and the A7rII have a nearly identical body, any case for the A7II will also work on the A7rII and A7sII. I picked up a Gariz case for my A7rII. I have now owned three of their cases and love them but I just don’t love the Alcantara material. There are a few cleaning supplies that every photographer should own. 99.9% of the time you should be using an air blower to clean your sensor. Usually it will do the trick. If not, a sensor brush is gentle and works great. That’s all I would do with any of these cameras. Because the Sony A7II, A7rII and A7sII have in camera stabilization, I’m not sure how they will hold up to any pressure applied to them, so be careful and I do not recommend doing the wet cleaning method yourself with these cameras. Also, do not try to clean your sensor by blowing on it with your mouth. You are guaranteed to get spit on it. I like to buy micro fiber cleaning cloths in the bulk now because they eventually get oily and it’s always nice to have fresh ones. I have a bunch of these. I have two Gariz that are pretty nice. I trust them to never break. The other brand that I use on my Fuji camera is the Gordy’s. Handmade in the USA. Very nice quality, fast shipping. Gordy’s – Check them out here. C-loop makes these little attachments for your existing camera strap that screw into the bottom of your camera. They are pretty nice. I have one and love it. There are so many leather straps out there now, it’s hard to decide what to list. I really prefer leather straps, they are more comfortable and seem to last longer. Plus they look really nice on the Sony A7ii and A7rii. Here are some leather straps I’ve tried. Tap & Dye make a decent strap. LeicaTime might be better for the price. Hard Graft – Hardgraft.com Their pre-process strap is absolutely amazing and now one of my favorite. One small case I really like is the Mirrorless Mover 20. It’s very cool, fits both my Sony A7r and my Fuji X100T at the same time. I can also fit a Sony A7rii with the 15-35mm f4 lens. For My Backpacks I have two. I use my Fastpack when I need to carry a laptop or when I need a few more items that I can’t fit in my Mirrorless Mover. This is my adventure bag. It holds all the gear I would need to travel with. It’s a very well-built bag and is all-weather, the only thing I don’t like about it is that it’s heavy. That have a larger version I tried out that was even heavier so I wouldn’t recommend that if you plan on doing a lot of walking or hiking. Aside from using Lightroom and Photoshop, if you’re a landscape, travel or HDR photography I highly recommend checking out Aurora HDR. It’s a game changer. Probably the most import tool for a photographer beside the camera is a display color calibrator. Without one you kind of have no idea if your photos have too much saturation and contrast, or too little. Not to mention your colors could just be off. I have several different displays around my house and these do a great job at getting them to look similar. There are two brands that I’ve used. The X-Rite i1 Display Pro that I keep at home for all my monitors, even my TV that I sometimes run out of my computer via HDMI. Then there is the Datacolor Spyder which is what I use where I work. I believe we use the Spyder3Elite. Maybe Spyder4, I can’t remember. It’s old but still does the job. I personally prefer the X-Rite, it’s been faster and seems to be more consistent when compared to the older Spyder. However, both are great and the Spyder5 has come a long way since then so I’m sure the difference in quality is insignificant. I ordered the bundle that comes with a color checker. You probably won’t need one unless you know you need one. Otherwise the one I’ve listed here works great. There are several version of the Datacolor. The Elite, Pro and Express. As far as I know, there is no difference in hardware, it’s all about the software. So I think you could potentially start off with the Express and if you need more functionality you could upgrade to the pro. Sony continues to add lenses to their lineup. Because of the popularity of the Sony A7r and A7rII, Zeiss continues to roll out amazing lenses to compliment the system. See my complete list of Sony E-Mount lenses. I’ll list a few of the most popular adapters for the Sony E-Mount as a sort of mini adapter guide. I’ve tried to filter this list of adapters to only show the most popular and the best performers. There are a lot new adapters popping up almost every week it seems. If you find one that you love and can recommend, let me know! I have more Lens Adapters listed here – complete list of Sony E-Mount lenses. Make sure to get the Metabones MK IV adapter now if you go the metabones route. The MK III is garbage. Pricey but great firmware support. I use this and love it. There is also a close focus version. Since the Sony A7rii can shoot 4k video in APS-C (super 35mm) crop mode, it might make sense to get a speed booster so you can continue to take full advantage of the field of view of your full frame lenses. Without it, your 35mm lens becomes roughly a 50mm lens. Why use a speed booster? Typically shooting in APS-C (Super 35mm) will dramatically reduce the rolling shutter. And it’s a better option especially on the Sony A7rII. You shouldn’t use a speed booster with the Sony A7sII because it shoots native 4k full frame. The Sony A7rii has some very exciting new video features. The ability to shoot Super 35mm in APS-C crop mode without losing pixels means we’re going to have some incredibly sharp video. It’s a feature that’s very exciting and it means you can now use your A7rii as your primary video camera instead of relying on the Sony A7s or A7s II. Because the Sony A7rii and A7s II now have internal 4k recording, you’re less likely to need an external recorder, but they are still very nice and I’ll list a few. We use these at work all day every day. Flawless. A good friend of mine LOVES this recorder. There are so many options for shoulder rigs now. You really need to figure out what features you need and how much money you want to spend. I’ve listed a few good ones at various prices with various features. But there are many more besides these. Amazon – This one pretty much has everything you need. Amazon – A much simpler rig. Amazon – A very beefy rig. These are really handle. They’ll allow you to get your camera in those low angles while still adding stability. I’ve used this before. It does help stabilize your shot while walking and is pretty good for the price. Don’t expect amazing results. It’s not a real steady cam and follow focus will be a challenge. For the price, it might be worth having in your kit. Remember the “Game Changer” camera stabilizer people raved about a few years ago? This is it. I use one of these and love it. I can never trust the levels built into the cameras. It’s so inaccurate I don’t know why I ever even turn it on. And so you all know. These links to Amazon make me a very small amount of money which is why I have to write so many affiliate packed articles like this one on my blog. Right now it’s basically earning me enough money to buy a bunch of junk to review so you don’t have to. It also allows me to rent some cameras here and there to do some tests. So if you like what I’m doing here then feel free to click though those links when buying items. The best part is, it costs you nothing. Thank you!